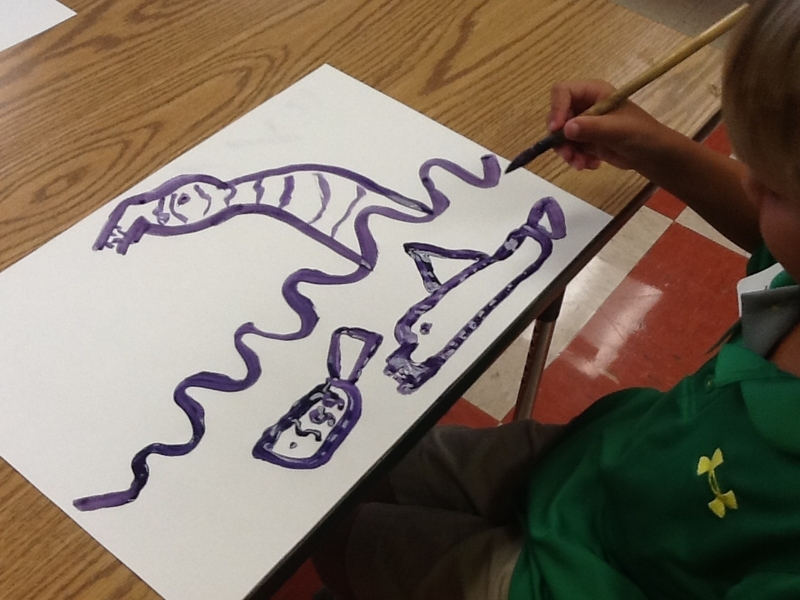 After reading "Harold and the Purple Crayon," students were instructed how to use the tip [vs the belly] of a paint brush to create a variety of lines, i.e. straight, zigzag, curvy, wavy. Oil pastels added the element of color. 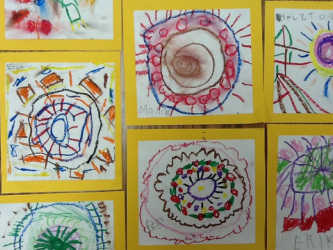 Kinders are learning to identify the primary colors- red, yellow and blue. As well, we are exercising our fine motor skills as we trace and cut, while learning about basic shapes and how you can cut them to create new shapes. 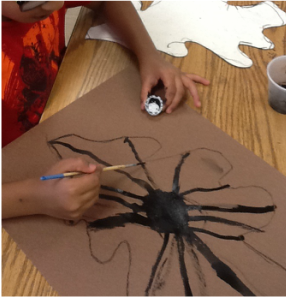 First Kinders traced a large leaf. 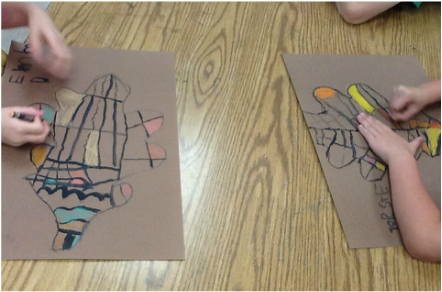 After carefully painting thin black lines as the veins, they used "Fall colors" to fill in the sections. Beautiful Fall Art leaves! Kindergarteners repurposed scraps from their Fall leaf project (as well as scraps from a 1st grade project) and created an artsy owl! Whoooo doesn't love a cute owl? !